Amish With a Twist 2–progress | OccasionalPiece--Quilt! Posted on July 31, 2013 by Elizabeth E.
Today I’m all caught up with my Amish With A Twist-2 Block of the Month program with the completion of these four, plus the components shown below. I think these will eventually become part of the center star. 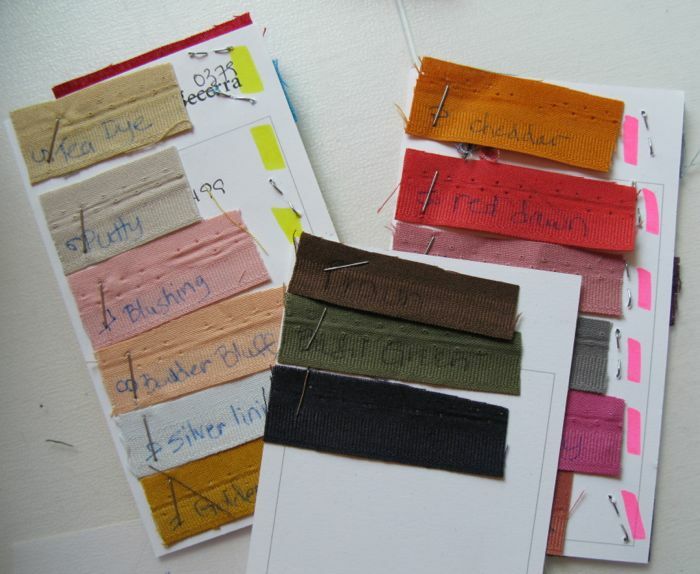 I’d be lost without my color sample cards–I snip off a bit of selvage and write the name on it (and underneath) along with the color number. It REALLY helps. I also cut each block’s pieces all at once, then store them inside the pattern, all folded up for when I can get to the sewing. Done in parts, this quilt will be manageable, I think. 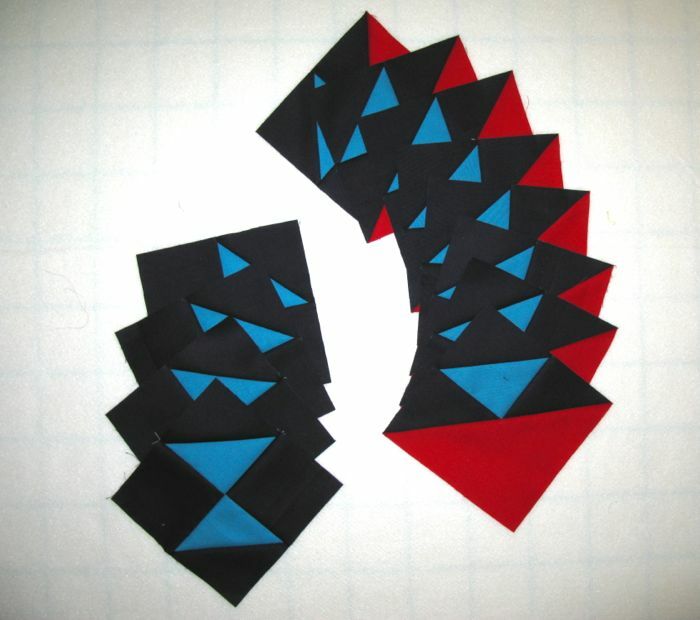 But today, I’m linking up to Lee’s Freshly Pieced for Works In Progress Wednesday. 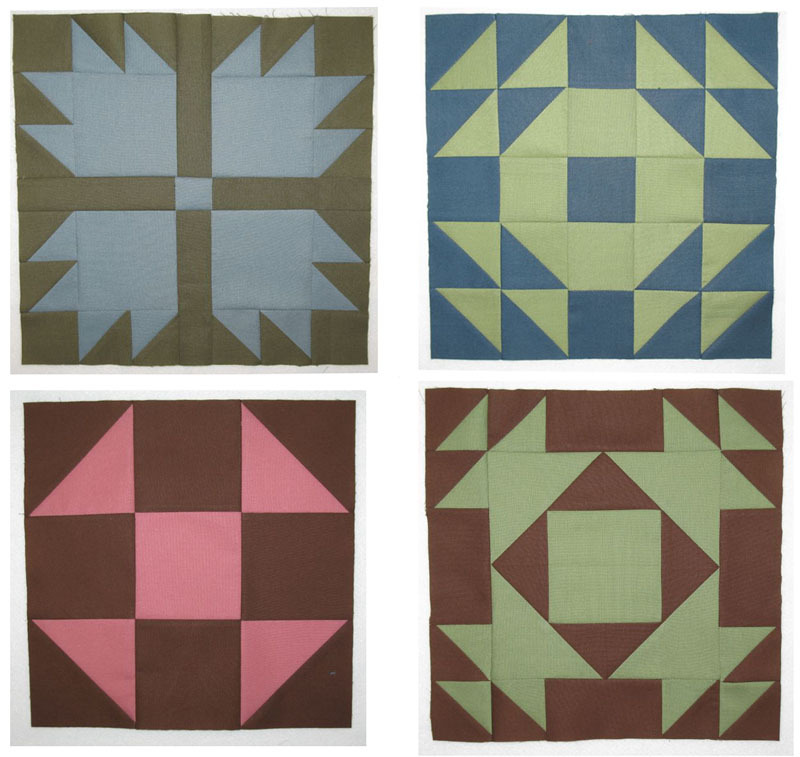 This Amish With a Twist will make an incredible quilt. Great organizationing hints. Really looking forward to seeing the Four-In-Art for this quarter! Like your color card idea. Can’t wait for the reveal tomorrow. Your color sample cards are a great idea, Elizabeth. 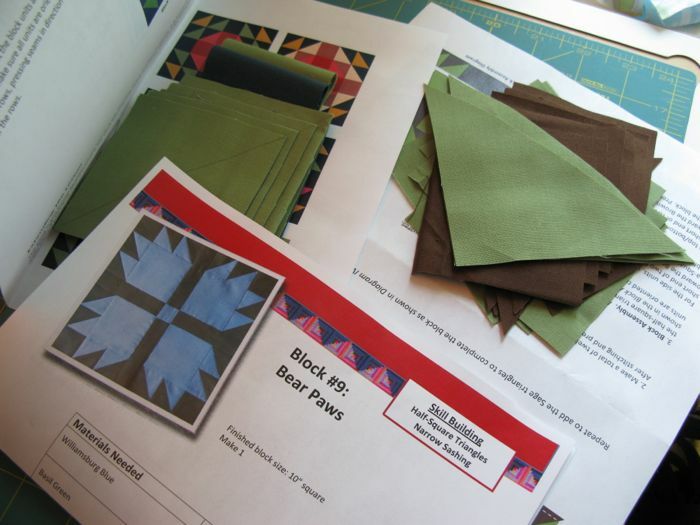 They are probably most useful for a quilt that is not a scrappy quilt, huh? Absolutely love your blocks! Such a great idea with the sample cards. Thanks! I’m making this quilt and am delighted to find your posts. Your hints are helpful! Please continue to post your progress, and best wishes in recuperating from foot surgery. Pingback: Shadow Owes Its Life To Light | OccasionalPiece--Quilt!